Editor’s Note: This story was reported earlier today on Rev2 by Brandon. In this post, contributing writer Zach Sims attempts to focus on an alternative angle and provides some in-depth analysis and his opinion as to what this will mean for Facebook and the hundreds of Web 2.0 services out there. It’s all over the web today. Facebook, one of the world’s fastest growing social networks, has never been content languishing in the same category as the all-powerful MySpace and the UK’s Bebo. Earlier today, Brandon noted that Facebook took a “much needed step” to success. As an avid user of Facebook, I find the Facebook Application platform to turn Facebook from a simple social site to a true “social utility,” as CEO Mark Zuckerberg mentioned in this month’s Fast Company interview. Facebook, however, is clear to make a distinction between themselves and MySpace, the shoddily designed social network owned by Rupert Murdoch’s News Corporation. The new Facebook Platform provides deep integration with Facebook itself, discouraging ugly design and disturbances within Facebook profiles. 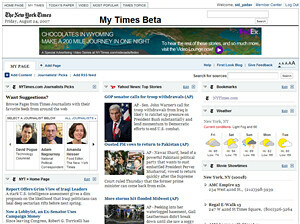 MySpace is detested by dozens of internet pros because of its customizability. Unfortunately, users often go over the top with their designs, crashing web browsers and giving users headaches. Facebook, however, has always remained clean. In keeping with that tradition, they seem to have worked closely with dozens of different companies to provide a terrific experience to all users. The applications and integration Facebook has available are simply stunning. With my profile, I’ve tested about ten of Facebook’s new applications. My favorite, the Causes application, is similar to a group except it provides fundraising and event organization features. At the Personal Democracy Conference, Change.org discussed a similar move in activism. Facebook’s Platform, however, offers millions of users to Project Agape, the company that controls the Causes app. 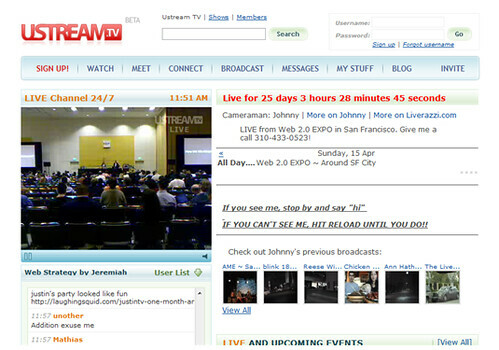 The Platform instantly provides web services with an audience of over 20 million eager web users. Facebook Applications will go viral, insisted CEO Mark Zuckerberg at today’s Facebook F8 conference, citing that they’d make use of Facebook’s news feed and profiles. My usage of the Facebook Platform so far shows that it has every bit of potential that Zuckerberg suggested it did. Throughout a period of extensive testing, each application worked flawlessly, integrating beautifully with my profile. Facebook gives users the option to hide an application from their profile page but maintain it anyway, allowing users to essentially run dozens of applications but only display one to the public. Worth mentioning is the Twitter application for Facebook, something that’s been long overdue. It’ll be nice to be able to sync Twitter and Facebook statuses. So far, Facebook has executed their Platform plan flawlessly. They provide an invaluable resource, a wealth of users, to dozens of companies across the globe. 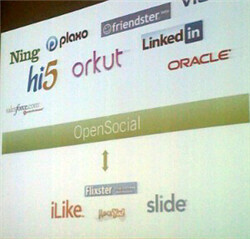 For Web 2.0 companies involved like Slide and iLike, integration with Facebook may very well keep their companies afloat. For companies that already relied on Facebook’s API, like the excellent Mosoto, this announcement is exactly the push they needed to begin succeeding. Facebook has also enlisted the help of media titans like the Washington Post to provide content via widgets, along with WidgetBox to provide RSS feed widgets and more. This deal shows a partnership between Facebook and over fifty major media and web organizations around the world, cementing Facebook’s position as the most innovative and advanced social network. Pardon me, I meant social utility.